« What am I loving? What am I looking at today? We are on the road – west coast this time. 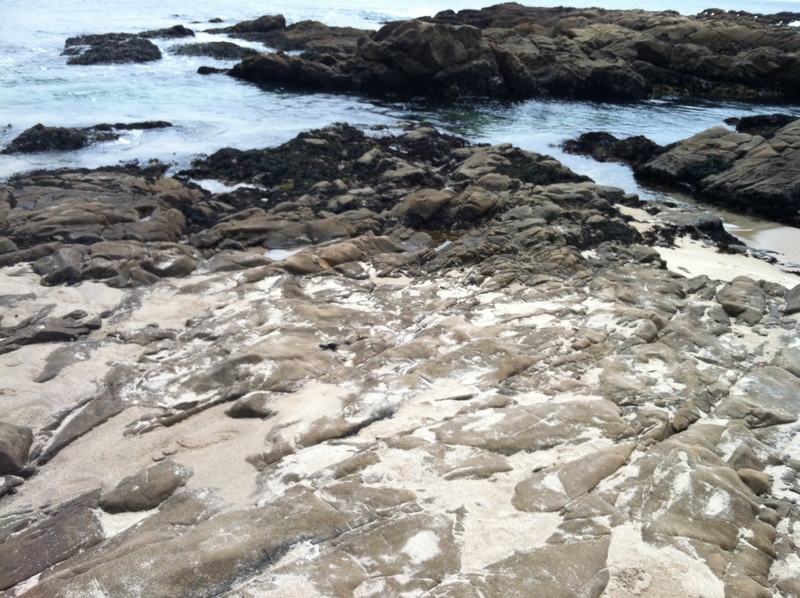 This afternoon we spent some time poking around in the tide pools at Bean Hollow State Beach. 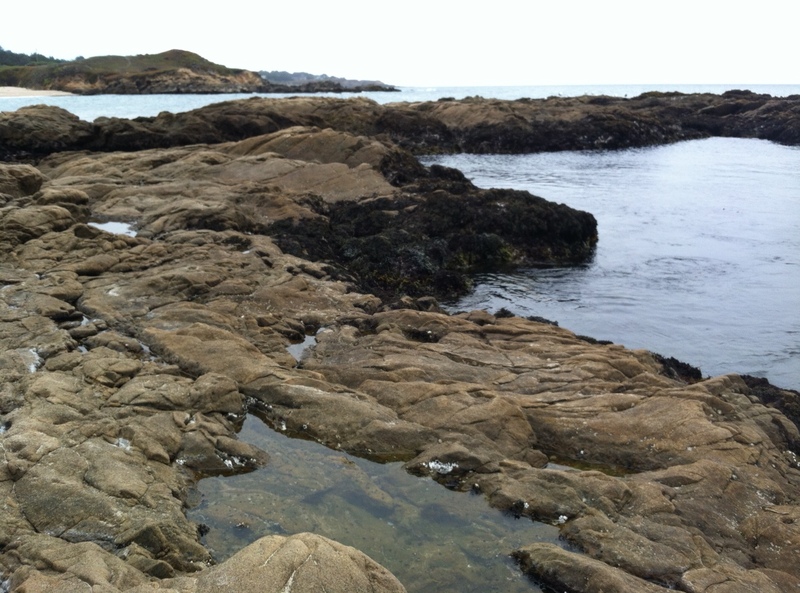 Saw crabs in many colors, large and small, limpets, hermit crabs, cormorants, grebes, etc. It was foggy, but fun. 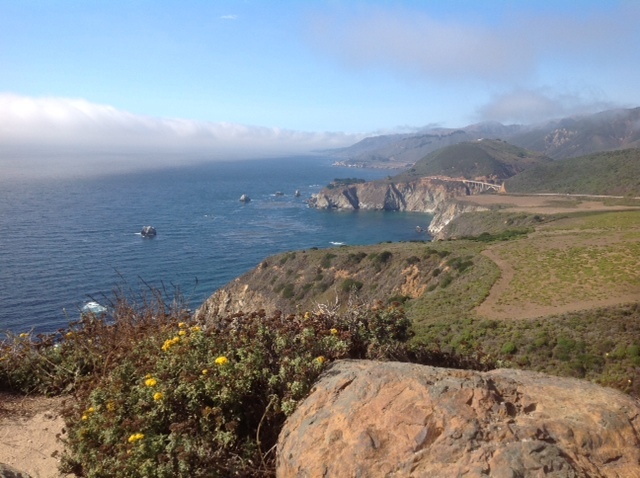 Look how it cleared up by the time we got to Big Sur. This is a wonderful trip, needless to say. The drive has been beautiful. We are heading further down the coast today – all the way down the coast, actually. I love road trips and this is a good one!